Location of Dragon at the International Space Station. Space Exploration Technologies Corporation's (SpaceX) Dragon cargo vehicle was grappled by station Flight Engineers Alexander Gerst of the European Space Agency and Reid Wiseman of NASA, who operated the station's Canadarm2 robotic arm from the cupola. 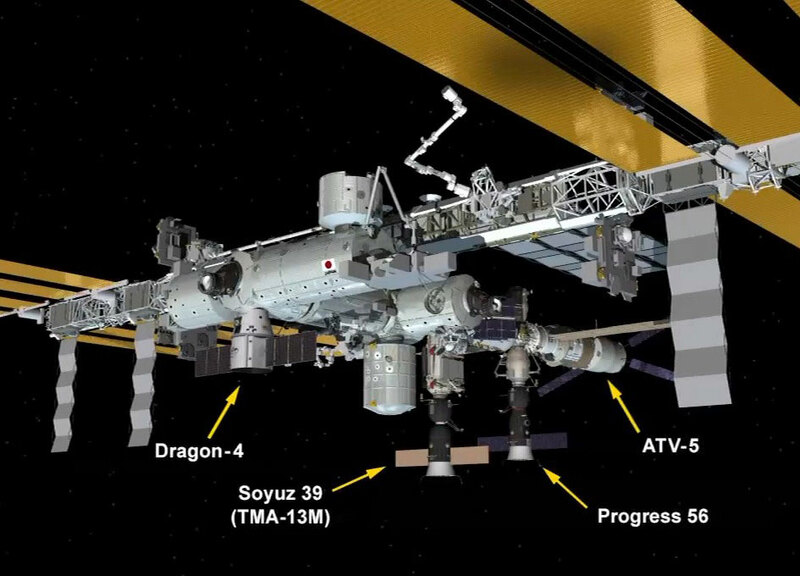 Dragon was subsequently berthed to the Earth-facing port of the Harmony module, where it will remain until around October 18th. This is the fourth commercial resupply mission of the station by SpaceX.